Off Color. A brewery in Chicago that had two identities. A brewery with a quirky selection of beers with no mass-appeal and the brewery that makes that beer with a lion on the bottle. I really enjoy Apex predator, and I love it more for being the gateway beer to all beers that don’t end in -Pale Ale. There are other breweries that do the same; abstain from the trends of making the most bitter and citrusy IPA but this one is from Chicago. This one I was exposed to first. This one I enjoy visiting the tap room 2x a week. Also they partner with The Field Museum, have a cute as hell mouse as a logo, and they brewed a beer in collaboration with Miller Lite 2 years ago. They have the cool check-box checked and locked down. On top of that, they have a tap room in the Lincoln Park neighborhood! Did I mention I frequent it ALL THE TIME? Anyways, I digress. Their beers are always different than your usual offerings of lager, IPA, and Pilsner and 99% of the time they are damn right tasty. That’s hard to do when you aren’t playing it safe. 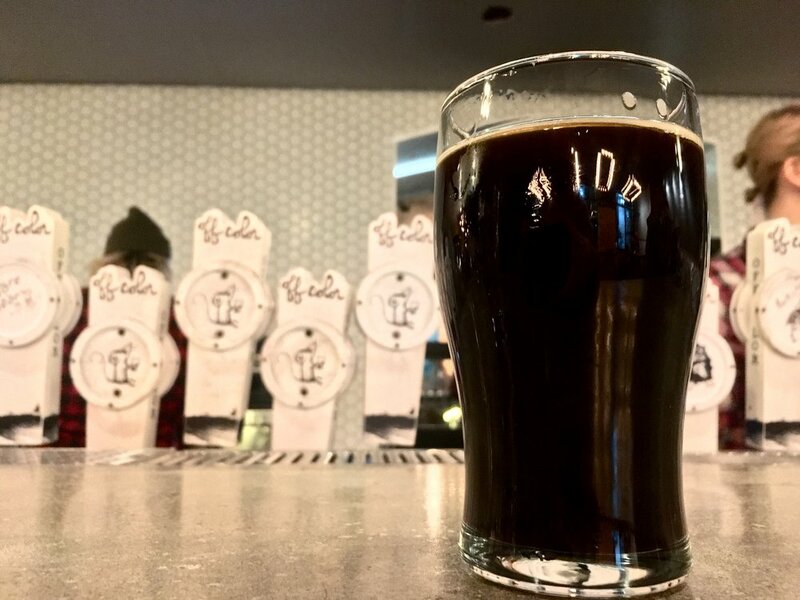 Their latest beer released 24 hours ago is a flavorful toasted coffee with no bitterness and some sweetness that resembles a hot chocolate made with actual chocolate and not powdered sugar. The viscosity is perfect. You don’t feel like you are drinking motor oil and it doesn’t feel like water either. It’s a perfect darker beer with all the flavor and no notes of something weird to make you feel like you need to be a connoisseur to take the risk to try. It’s a coffee beer that taste a bit like chocolate. What word in that sentence makes you hesitate? I could put it in a mug and sit by the fire. You could be saying, "Coffee in a beer? Those are two separate beverages," and normally you'd be right, but not in this case. They belong together. They belong together like Mariah Carey and Ritchie Valens. The first time you try it, it may be off putting. Don't be discouraged! Off Color uses Dark Matter coffee (another chicago business) and they manage to get all the coffee flavor with minimal bitterness. The special thing about these kinds of beers is that they almost end up not tasting like beer. It becomes a coffee infused cocktail of sorts. Also they have them in pretty cool 2 packs to go. Do yourself a favor and make the trip to the tap room. And if you don’t live in chicago... make a weekend out of it. I can point you in all the beer-cardinal directions.